Talking medical spas with Dr. Jeffrey Kronson of Gia Laser Aesthetic Center in Claremont, California. Profile: Jeffrey W. Kronson, M.D., F.A.C.S. is the founder of both the Whittier Vascular Surgery Center and Gia Laser Aesthetic Center and a Past-Chair of the Department of Surgery at Presbyterian Intercommunity Hospital in Whittier, California. He currently practices at Methodist Hospital in Arcadia and Huntington Memorial Hospital in Pasadena. Dr. Kronson is Board-Certified by the American Board of Surgery in both general and vascular surgery and is a Fellow of The American College of Surgeons. 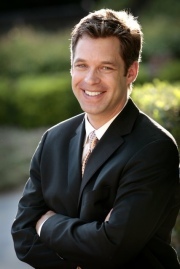 He currently serves as Medical Director at Gia Laser Aesthetic Center, which he founded in 2007. How did you get started in cosmetic medicine? I had a large varicose vein practice where I was treating literally thousands of legs that were pathological but I had a real hard time with the cosmetic needs of the patients, usually for an insurance or financial reason. I opened the Medical Spa as a way to engage these clients in services that they requested, giving them different options and avenues. From there, it grew into the full complement of injectables (Botox and dermal fillers) IPL, body contouring, medical aesthetics and cosmeceuticals. Now we have a full service Medical Spa. It is run by 5 full time employees, as I am there 2 days a week or by appointment. Our average patient is 30-65, educated, upper-middle class and often executive. Being just outside LA proper, we see our fair share of A-list celebs who don’t want the paparazzi chasing them. We offer complete privacy, complementary car service and a discreet, professional standard that is difficult to find elsewhere. How do you select and manage your staff? Did you encounter any problems? I have a full-time manager who screens candidates, we interview them then together and make a decision. We are part commission and part salary. Before I had the excellent woman that is currently working with me now, I had DISASTERS in finding supervisory personnel. I unfortunately ran into theft, deceit and dishonesty. Right now, that is a thing of the past. It is also very difficult to find an RN who is as good clinically as she is selling retail. We also have finally found such a person but we need one more. What laser technologies are you currently using? We use Syneron EMax, Velashape and Lipolite. I bought these systems from the end of 2007 to the middle of 2009. The non-invasive Elos technology continues to give us superb results with no down time. The new systems are interesting, less expensive as the economy has fallen, but all seem to require less individual treatments and fewer patient visits. It stands to follow that most are more invasive or ablative, though there is no long-term data that I am aware of on all these new ones out there. If there was such a product that clearly was faster, non-invasive and gave outstanding results, we would certainly entertain the idea of purchasing it. What marketing strategies have you found effective for your clinic? Social media (FB), the internet, many marketing sites. Word of mouth, specials and invertising still the best. What treatment/s generate the most revenue? Lipolite and laser in general are most profitable as there are no disposables. Any parting advice for other docs starting or running medical spas? Know everything. If there is a “rogue” RN operating outside the boundaries of your practices and policies, you will be meeting an attorney sooner rather than later;. Doing this job well is a FULL-TIME commitment. It is far different to add a laser to an MD’s practice than to open a free-standing Medical Spa in addition to a busy practice. Learn finance. Hire people you trust. Know what you don’t know and hire someone to know it.